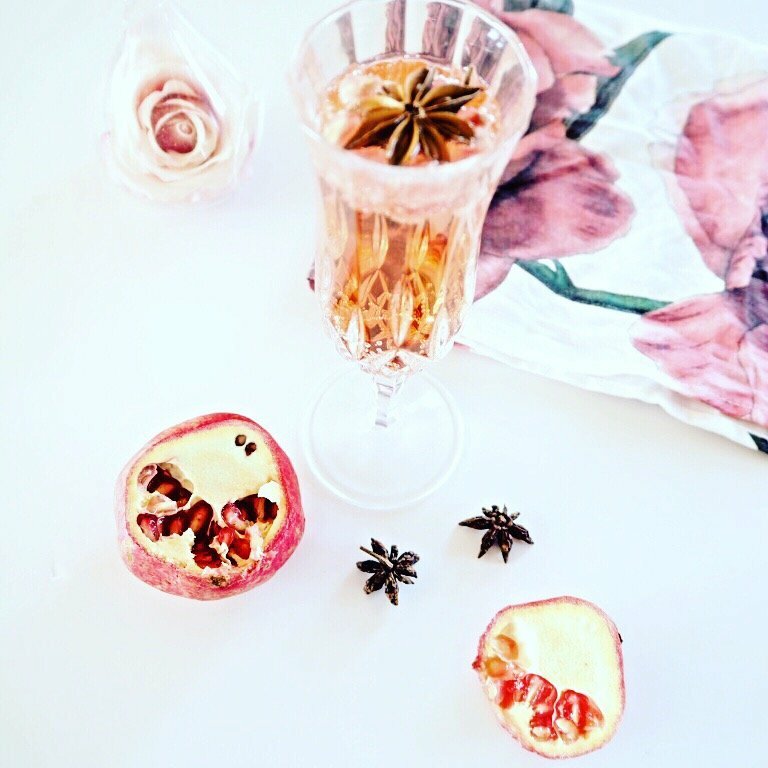 Spice up your fizz with this Champagne and Strawberry cocktail infused with star anise and pomegranates. (As featured in the metro). Star anise gives such a wonderful spicy depth and warmth to this champagne and strawberry cocktail. Combined with the sweetness of pomegranates it is a fantastic flavour fusion. 1. Line up your glasses and add 2 tablespoons of strawberry liquor to each. 2. Fill up each glass with chilled champagne and a star anise. 3. Add the pomegranates to each glass and enjoy!